Officials at the federal government’s 401(k)-style retirement savings program reported Monday that they saw a steep increase in federal workers pulling money out of their Thrift Savings Plan accounts during the partial government shutdown. At the monthly meeting of the Federal Retirement Thrift Investment Board, which administers the TSP, Tee Ramos, director of participant services, said that between Dec. 26 and Jan. 25, the issuance of TSP loans increased 5 percent over the same period last year. And hardship withdrawals, which allows participants to take out money early in exchange for a 10 percent tax penalty and a six-month suspension of payroll contributions, were up 26 percent. TSP Spokeswoman Kim Weaver said Monday that the agency does not yet have an estimate of the dollar value of the money withdrawn from TSP funds during the shutdown, but she acknowledged that the increase represents a significant spike. Weaver said the agency has been active on Capitol Hill this month, working with lawmakers on several pieces of legislation that would make it easier for federal workers impacted by lapses in appropriations to access money in their TSP accounts. Those bills include the Financial Relief for Feds Act (H.R. 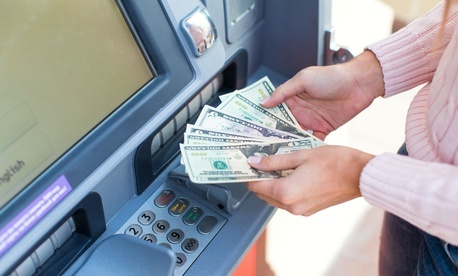 545), which would allow furloughed federal employees and contractors with TSP accounts to make withdrawals without the 10 percent penalty. The Emergency Relief for Federal Workers Act (S. 204), which was introduced last week by Sen. Tim Kaine, D-Va., and has 30 cosponsors, would allow tax-free hardship withdrawals up to $30,000 if a shutdown lasts more than two weeks. Although the TSP is self-funded and not directly impacted by lapses in appropriations, officials said they are concerned that the potential for another partial government shutdown beginning Feb. 16 could affect their ability to implement the provisions of the TSP Modernization Act that make it easier for participants to manage their accounts. And if the government shuts down again next month, the TSP could be prevented from issuing regulations on time.